The Netherlands plays a dominant role in the field of yacht design and yacht-building. Many of the most prominent yachts, both sail and motor, are designed and built in The Netherlands. In terms of knowledge and expertise in this area The Netherlands ranks at the very top of the list. The Dutch yacht-building tradition goes back to the 18th century. The word “yacht” actually originates from the Dutch word “jacht”. Some thirty or so Dutch yacht designers and naval architects and their employees are responsible for more than 75% of the yachts built in the Netherland and a considerable number of yachts built abroad each year. These individuals are members of the NBJA which represents them in matters associated with naval architecture education and training, and in matters associated with their profession such as the terms and conditions under which they operate and the standards of conduct, and in matters associated with the development of technology standards and regulations. 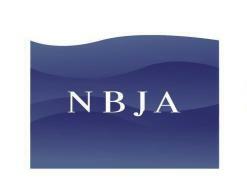 The NBJA is instituted in the Netherlands (www.nbja.org). Martin de Jager Yacht Design b.v.